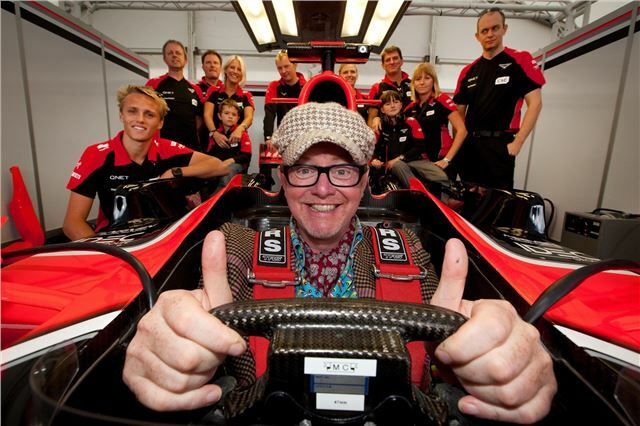 The venue for the 2013 CarFest North has been revealed by BBC Radio 2 DJ Chris Evans – this will take place at Oulton Park Race Circuit in Cheshire on 2-4 August 2013. As in 2012, CarFest South will take place at Laverstoke Park Farm – the home of former Formula 1 World Champion Jody Scheckter – on Friday 23-25 August. Visitors can expect to see some of the world's greatest cars performing on a longer and more exciting hill climb course plus three evenings of live music, fabulous festival food and an amazing range of fun and games for the whole family. Conceived by Evans as his own perfect petrolhead festival, CarFest was a sell-out in 2012 – and it was so oversubscribed that a second event was invented to meet demand; and so CarFest South and North were born. The original two events raised £968,735 for BBC Children in Need. The first release of CarFest 2013 tickets for both venues will go on sale on Thursday 17 January at 8.00am via the BBC Children in Need website at www.bbc.co.uk/pudsey.